There are few things in life as frustrating as trying to follow a crochet pattern that has errors, or is just plain incomprehensible. If you want to self publish your designs for sale or even if you are planning on offering them for free, here are a few things to consider. 1: Learn the correct names of the stitches and the standard abbreviations for each one. I am talking about the basic stitches here: sc, dc, hdc, etc. Some designers make a big deal about how they write their patterns without abbreviations. I am not sure that this is actually helpful, since the abbreviations are pretty self explanatory (sc stands for single crochet, I think that would be easy enough for a beginner to grasp), and the crocheter is going to need to know the abbreviations if they are ever going to make another designer's patterns. If you think you have come up with a new stitch and want to name it yourself, make a reasonable search to make sure it doesn't already have a name. 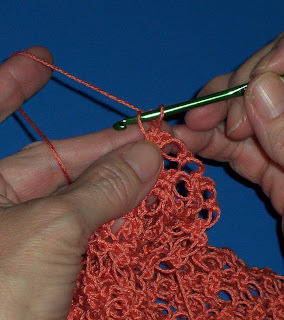 But you can find the same group of stitches called a "slanted shell" stitch in one guide and a "bushy stitch" in another, so as long as you are giving instructions on how to make the stitch you are using, you can pretty well call it what you like. 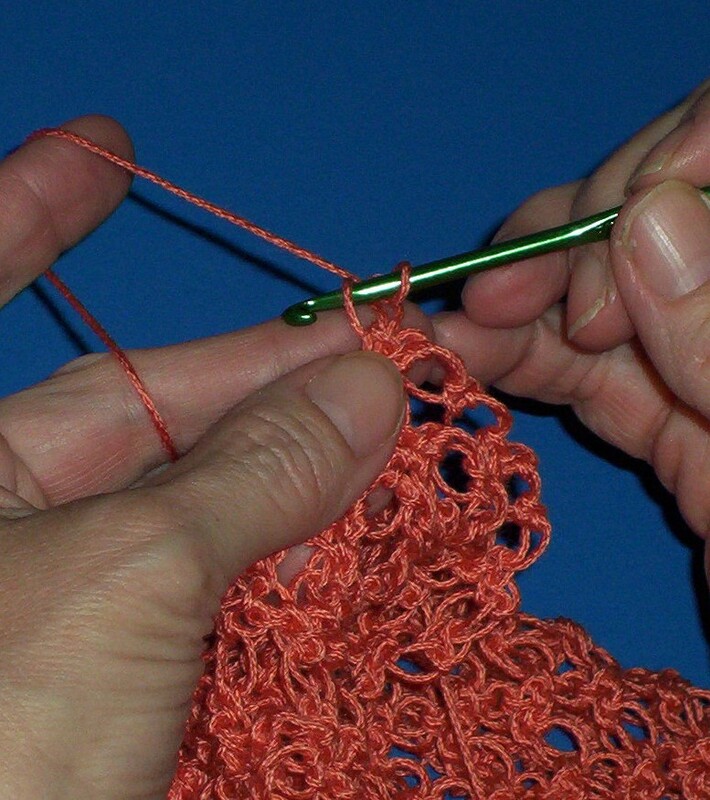 2: Learn the difference between a "Rnd" and a "Row" and use them correctly in your pattern. A Row is turned at the end without joining. A Round is usually joined at the end to the first stitch of the round, and may be turned or not. Lots of very old patterns called everything a "Row" and some designers still do this today. This is a pet peeve of mine, as I find it very annoying! http://www.craftyarncouncil.com/tip_crochet.html Their site has lots of good information you can refer to when writing a pattern. An editor once told me that writing a crochet pattern was more difficult than writing a computer program, and since she did both, I am sure she knew what she was talking about. It is a part of designing and publishing my patterns that I dislike, but I have to admit it is probably the most important. It takes time and effort, but with a little patience and practice it can be done. Stay tuned for Part Two! Very useful tips here and I'm looking forward to your next post. Thank you. Thank you. Another thing that annoys me so much: long patterns in words in American magazines instead of just one picture pattern using symbols for every stitch. You wouldn't see that kind in Russian or Japanese magazines. And it's so much easier to see all pattern at ones. I don't understand a reason for that. Picture pattern SO much easier to follow. Ones I was knitting a tunic using circle needles from Vogue Knitting, I had to record pattern on my mp3 player, otherwise I was loosing where I was. There were 5 pages of this pattern. In the end I was about to kill myself. And I am an experienced knitter. 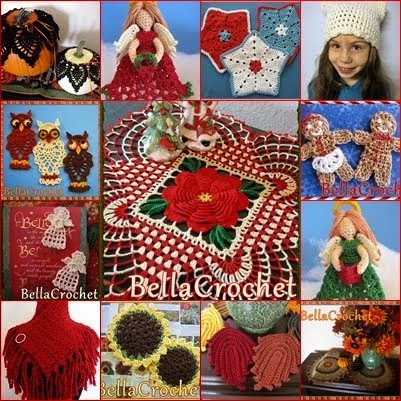 I hear you, Natalia, and my next post is going to be about symbol crochet patterns- well, actually it will be about why I don't offer them! Great tips. The row vs. round is something I have encountered more recently. There is an attitude that the person should "know" and it can lead to challenges. As for the symbols vs. the abbreviations, I prefer the sc vs. the symbol pictures for single crochet. I have forced myself to learn the pictures, but I find it very hard to follow. I really end up writing the pattern out in order to make the project when it is done in symbols. I know others love the picture patterns and only write them in that fashion. "I hear you, Natalia, and my next post is going to be about symbol crochet patterns- well, actually it will be about why I don't offer them! " looking forward to your next post, Ann. Now I'm really interested what caused that difference. I'm Russian, you see. Sometimes when I see something I would make and see a few pages of pattern... well...my desire is vanishing. I personally would LOVE to know how to read the symbol/picture type patterns as there are SO many beautiful ones out there. However, I find them SO confusing and frustrating and have to admit that I don't have the patience at this point to learn them. Although a pattern that is written out is longer, I find that I NEED that type of instruction. I have been crocheting for many years but certainly admire anyone that can write/publish a pattern. Ann, I find your patterns a joy to make and your talent inspiring!